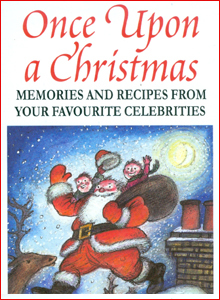 Christmas 1996, Toyah contributed a thoughtful recollection of childhood Christmasses to the charity publication ‘Once Upon A Christmas’. This book is now out of print. Childhood Christmasses were the most magical – It was the appearance of the Christmas tree that cued two weeks of sheer all-encompassing joy. I’m talking about being four years old. Just able to talk but unable to comprehend the hidden meanings of the words of wisdom from the giants, the adults… My family home, although modest, was a castle to me and everything in it was rare and precious. But the Christmas tree was proof that Narnia, fairies, hobgoblins and fauns truly did exist. For the tree miraculously appeared overnight and it shed such light and a divine perfume. Being small, I could sit under it all evening with the glass baubles dangling in my face. • Continue reading at Dreamscape’s Press Archive.